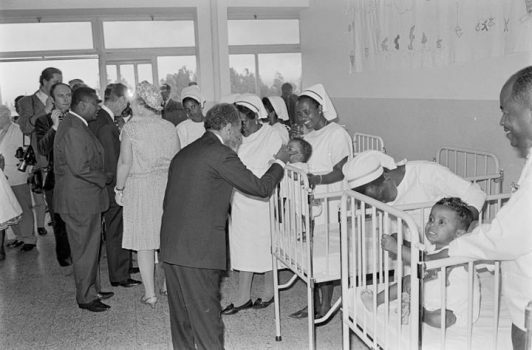 “Since We acceded to the Throne of Ethiopia by the Grace of God, We have always striven to improve the standard of living of Our people, to expand and strengthen the educational programme of the youth of the country, and uphold the faith of Our Church. 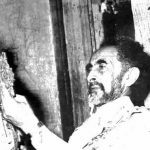 We are indeed gratified to see today the fruition of Our endeavours in these regards for which We thank the Master of the world, God Almighty. 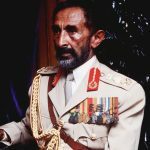 “What more can We expect than to see the realization of the major things We had hoped for many years that the Almighty would help us achieve for Ethiopia? “The world does not remain static but is always changing. 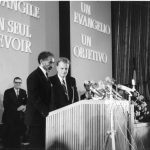 Work should progress like the branches of a tree along a river bank, and among the numerous foundations We laid for Ethiopia’s overall development, attaining an autocephalous status for the Ethiopian Church is one of the most important. To see the Ethiopian Church reach this stage of electing and consecrating its own prelate is a high achievement. 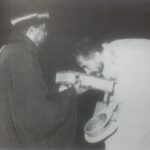 “When His Holiness, the late Abuna Bassilios, was elected first as an Archbishop of Ethiopia at a ceremony in Cairo some years ago, We felt a singular honor as this was one of the important accomplishments during Our reign and We thanked Our Lord for blessing Our efforts and for sparing Us to witness the consecration of the first Ethiopian patriarch. Although His Holiness Abuna Bassilios is no longer with us, the Ethiopian Church will continue to follow the spiritual path he has laid for her. His successor, His Holiness Abuna Tewoflos, has served the Ethiopian Church faithfully for many years and his experiences will, no doubt, help him meet his new responsibilities. We know both Abuna Bassilios and Abuna Tewoflos from the beginning of their early church services and We shall not forget their mutual confidence and love. “We thank God for enabling Us to be present here today to wish the dead to rest in peace and to congratulate the newly consecrated. There is nothing more We can do to repay God for all He has done for Our country except to thank Him. “It is not humanly possible to repay the loving Son who, despite His innocence, was crucified to absolve mankind from sin, and yet prayed on the crucifix to His Father to forgive those who crucified Him. “Generations come and pass. The learned of our Church and the laity know what fundamental relations we now have, and had, with the Egyptian Church. It is religion that binds us with our brethren in Egypt. When We say religion, it is not restricted to the professed faith. In this connection no one should question the faith of others, for no human being can be a judge of the ways of God. “Much effort was needed to attain autocephaly for the Ethiopian Church. 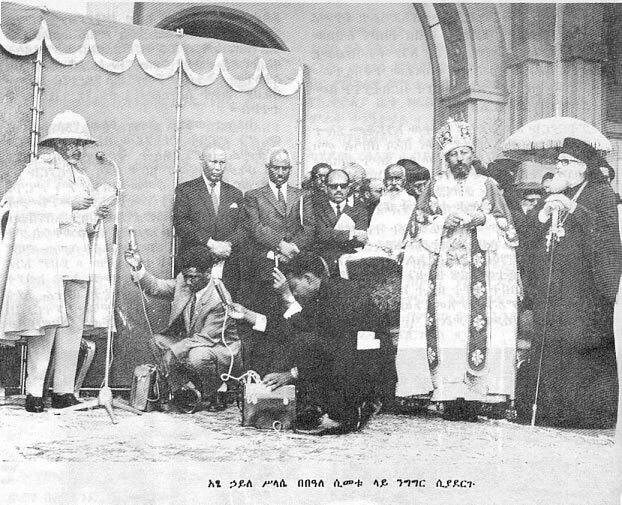 Now that through the will of God this has been fulfilled, We recall the statement We made concerning an autonomous church for our country and our free people when Abuna Bassilios was consecrated patriarch. 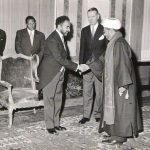 “After the nomination of the first head of the Ethiopian Church, the next historical stage was the appointment of the first Ethiopian patriarch. The elevation of His Holiness Abuna Bassilios to the patriarchal throne and now of His Holiness Abuna Tewoflos completes the autonomous status of Our Church which give Us great pleasure and satisfaction. Today’s occasion serves as a historical testimony. “We were in Cairo when His Holiness Abuna Bassilios was appointed patriarch and shared the happiness of that historic moment. “Man is mortal, and We were deeply grieved when Abuna Bassilios left us forever, but after fulfilling his spiritual mission, We say to him, may your soul rest in peace. “We are thankful to God today as We were during that historic moment of the consecration of the first Ethiopian patriarch. “The Grace of God is eternal. Angels in heaven and the creatures on earth sing His praise and We praise Him today on the occasion of the investiture of His Holiness Abuna Tewoflos as Patriarch of Ethiopia. 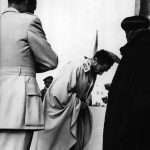 “We thank the Lord for the many years of this ecclesiastical evolution beginning with the election of bishops and later of patriarchs from among Ethiopians. “God has blessed Our efforts thus far in the attainment of autonomy for Our Church, and We believe that no difficulty will be faced in this regard in the future. “We should all be happy to witness in this age religious and secular accomplishments and to see Our people embark and the right secular and religious path. “Today is a joyous and historic day not only for you, the elected, but also for all Ethiopians, for they are part of this great achievement embracing the efforts during Our Reign and also past efforts. “Are they not blessed who witness today this historic event for which our forefathers earnestly prayed, desired and hoped? It is now up to Your Holiness to keep, maintain and strengthen the Church’s autocephaly which We have secured. “Now that you have been entrusted with the heavy responsibilities of the Ethiopian Church, may the Almighty God assist you in all your endeavours.